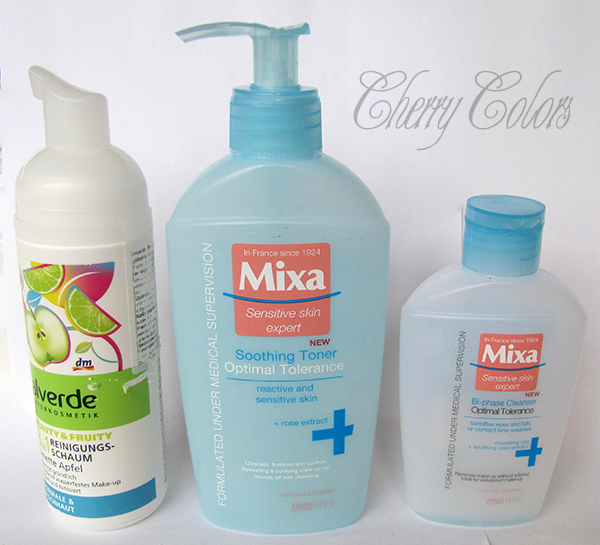 Empties #4 - Cherry Colors - Cosmetics Heaven! 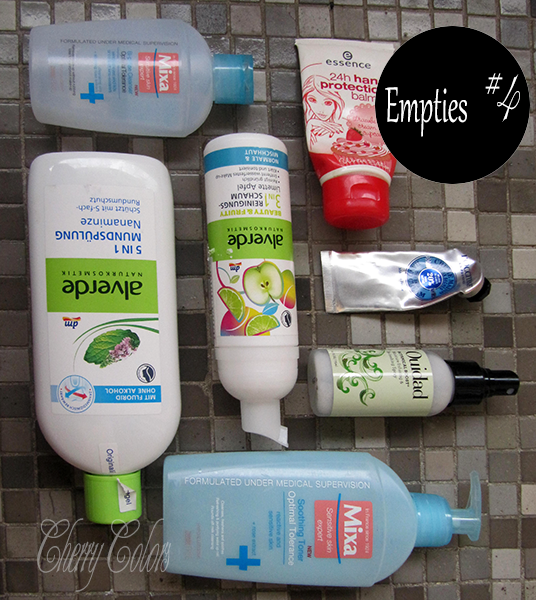 It is funny how whenever I take pictures for the next Empties post, I use up a product the same day! And it happened like thrice before, haha! 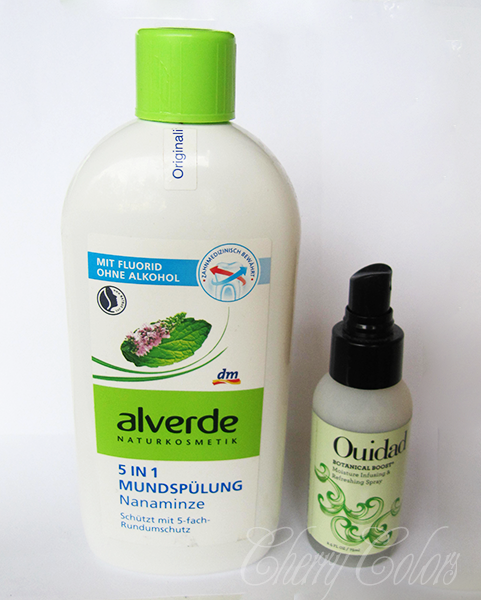 In this post I will show you all the products I used up and my thoughts about them. A oral hygene product that has a mild flavour and doesn't feel as my mouth is about to burn off from all the extra extra mint (I am looking at you Listerine!). The only downside is the added fluorid, but I can close one eye on that - for now. The price is also fine, about 2€ for 500ml. This is a hair spray that is supposed to give curls some extra wooow. The scent is funky (kind of a sticky scent, heavy?) and it didn't do a thing for my hair. I got it as a freebie in an order. Essence hand lotion Strawberry cream cupcake (Winter TE) - It took me a very long time to use up this cream, and when I did I was thrilled! 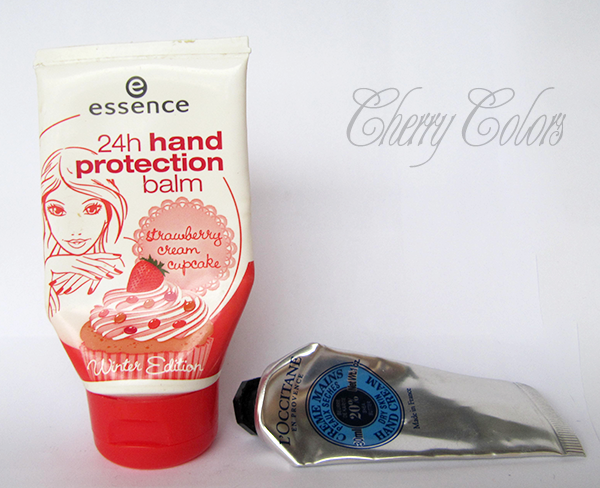 Finally I will be able to use all my other hand creams :P. I am a big fan of Essence's hand creams and this one was no different. I got bored of the scent after a while, tho. It is moisturizing, but not heavy moisturizing. The price is about 2€. Repurchase? Yes, but a different one. I used this cream before (the big tube) and couldn't finish it in forever. However I managed to finish this small tube in about 2 months. I like the scent and how heavy it feels on my hands (it creates a film). This is some seriously heavy duty hand cream, so I used it only during the night. I like this brand from DM. It is on the natural/bio line and it is dirt cheap. However the products are a hit or miss. This one smells delicious (fresh, apple like) and it foamed like a dream. It created a really soft, gorgeous foam. But sadly the foam dispenser broke after one week. This means that I had to change it after that. And the next dispenser (took from another bottle) didn't want to work longer than a week after! I also realised that foam cleansers dehydrate my skin out. I will not be using them anymore. A product that worked gently on my skin and came in a generous quantity. I found no problem with it watsoever. Repurchase? Maybe, if I don't find something else (I like to experiment). I like to use these kind of make up removers because I am a contact lenses user. Usually they are gentle on the eyes and do their job well. It was nothing different with this one, but I haven't tested it with my contacts on. The price was steep, so I am not sure about it. I may try a couple of different ones before coming back to it.